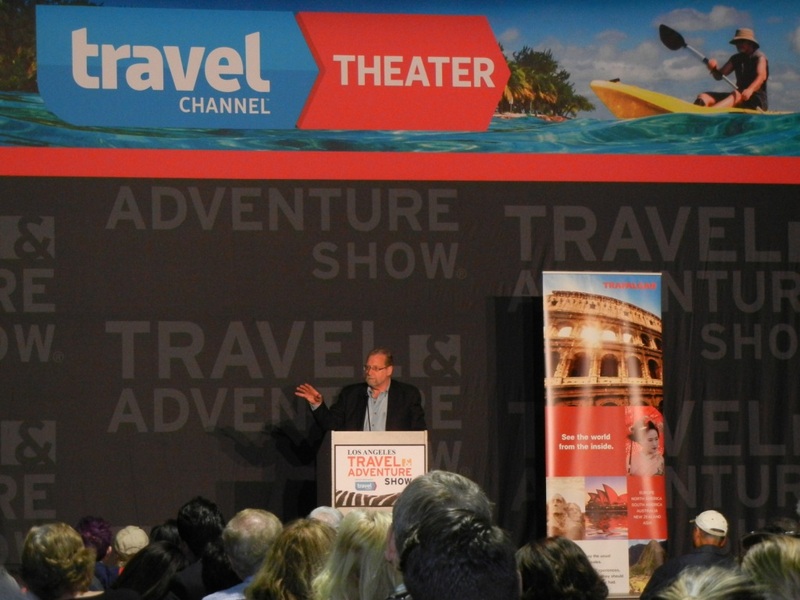 Yesterday, while at the Los Angeles Travel & Adventure Show, who serves as the travel editor at CBS News, spoke on booking one’s travel and accommodations to a crowd who had stayed until the end of the show. 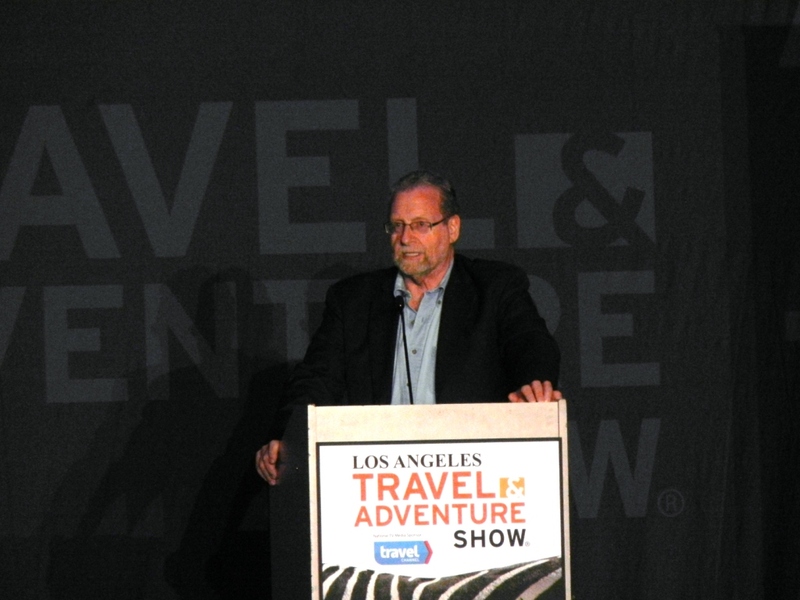 The talk, “What the Airlines, Hotels, Cruise Lines and Rental Car Companies Won’t Tell You – What You Need to Know Before You Ever Leave Home”, was not only toward the end of the show, but it was also the evening of the Oscars, so those who had showed up were eager to hear Greenberg’s advice. Throughout his hour on-stage, Greenberg appeared relaxed, confident, comfortable, and easily knowledgeable, providing – at least to this writer – an easy, relaxing, and enjoyable opportunity to hear about such advice. Another aphorism he shared was “A smart traveler knows not only where to go, but when to go.” He suggested that travelers “forget the guidebooks, forget the brochures and immerse yourself in the local culture.” As an example, he said something he does is to “talk to the maids at the hotels and, guess what? They’re the best tour guides in the world.” With them, “you get to see things as a local.” An example he provided was that he hired taxi driver at 4:30am and went to the Giza Pyramids – he was the only one there, not only avoiding crowds, but he also got to see the sunrise. He advised asking questions about any lodging accommodations: “the best thing you can do is be your own detective” when it comes to Yelp reviews or travel brochures, “because, if you don’t, you’ll be sadly disappointed.” He then told of some examples of gorgeous-looking pictures in brochures, but they did not show the broader picture. Also, he said, “there are buzzwords that you’ve got to be on the lookout for”, which end up being the opposite of what they are (one example: “oceanside view” – you’re going to be far away from the beach). He also discussed travel insurance and advised not to buy it from the travel provider, since they usually are a lot more limited in what they cover. “I never ever buy travel insurance from the travel provider, themselves,” he said. “Buy from a third-party.” In particular, he advised making sure that one’s travel insurance include medical evacuation insurance and repatriation. When it comes to rental cars, sometimes, the local branch either does not offer the same discounts that one got through ordering them online from their national chain, so it’s important to speak to that particular local car rental location when renting a car and get their information to be in-touch. Also, he pointed out that it “is cheaper to take a taxi from Newark to a rental car location in Newark” than renting a rental car at Newark Airport, so you also have to know how much extra you might be paying for renting a car at the airport versus somewhere nearby. Finally, despite his consistent advice throughout his talk to pick up a phone and speak to a person when booking one’s travel, he, nevertheless, shared a few websites that may be worth looking at: Kayak, Momondo, and Mobissimo. “Travel and tourism is the largest industry in the world”, he said, which makes it an important business in the world. And, he said, because of this, “travel is not only news, it’s front-page news”, which is what he does at CBS News. 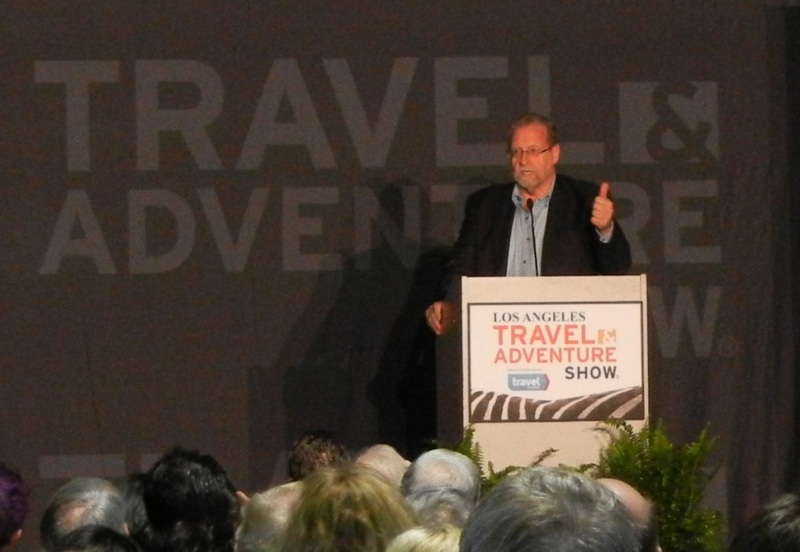 It was great that he could share some of his advice to the audience at the LA Travel & Adventure Show yesterday.